Typically, I won’t focus on one particular affiliate program when I talk to you about how to succeed with affiliate marketing and making money online and in your business. However, I am writing this Home Business Academy review because the HBA is a major exception simply because it stands out far above any other affiliate program and any other way to make money online, with your website, and/or with your business. If you have been involved with affiliate marketing or network marketing… or even trying to make money online at all… you know that it’s not easy, it’s a lot of work, and it takes time. While that’s always going to be true in order to find success, The Home Business Academy is the first thing that I have seen that gives you the best chance at success in the easiest and quickest way. I know that’s saying a lot, but here’s why I believe that…. …. Once you have referred two people, you are making a residual, monthly, recurring income! That’s it. And it’s as simple as that. If you’ve been involve affiliate programs before, it’s often the case that you have to generate a lot of referrals and volume in order to make some money. If you consider Amazon, for instance; it’s one of the largest affiliate programs in the world, but you only make 6% on each referral sale. The other problem with most affiliate programs is that you only make money off of the one sale you referred. 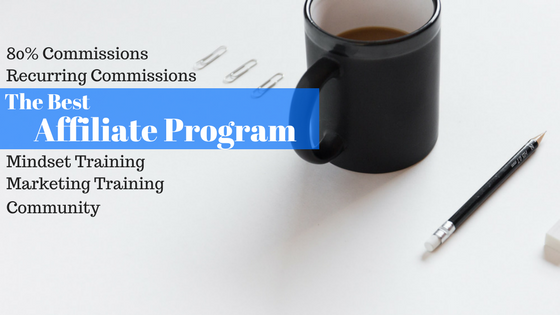 There are a few good programs like LeadPages and ConvertKit that will pay you a recurring affiliate commission for as long as that person you referred remains a member. While that is incredible, the problem with that is LeadPages and ConvertKit is only going to appeal to a select group of people with specific needs. And if you’ve ever been involved in a network marketing company, I’m sure you know how those can work. The potential is great and a lot of promises might be made, but it is hard work. You have to get people under you and help those people get people under them… and in order to start making a profit, you have to recruit so many people and out of those people, a certain amount have to be active and making a certain amount, etc. etc. It can be overwhelming and quite complicated! That’s why I think the Home Business Academy is the perfect solution for anyone. I am writing this Home Business Academy Review for two reasons. The first reason is because I have finally found a solution I believe in that will generate a monthly, recurring income and bring financial freedom. That may sound like a bold statement, but I have been involved with affiliate marketing for over twenty years. When I was first creating websites, I was selling books for Amazon when it only had books, posters for AllPosters, and CDs for CDNow. It was ages ago! And I’ve been a student of network marketing for over fifteen years. I was amazed when I met this bloke while I was on a scuba diving trip in Florida who was involved in a network marketing company that sold air purifiers… seriously. He made so much money selling air purifiers that the company bought him a car as a reward for his selling and recruiting efforts. I couldn’t believe it. I thoroughly interrogated him over that weekend at not only how his company worked, but how these types of companies work. From there, I researched every network marketing company I heard of or found online and the people who found success doing them. But I knew one thing about myself; I am not a salesman and I never want to be. I knew I would never do cold calls. I knew I would never throw house parties or meetings in hotel conference rooms. And for the longest time, this was how network marketers would mainly reach out to people. The internet and social media has changed that in a lot of ways. It’s much easier to reach out to people and connect with people all over the world. It’s changed the game for network marketers. But I still never found a program that I knew was right for me. I tried two, in the end. And out of those two, one completely died and vanished, leaving a lot of people upset and out of a lot of money. It was pretty distressing. The second reason I am writing this Home Business Academy review is because I am a member and I am generating residual affiliate commission from being a member. I want to tell you about HBA, not because it would benefit me if you joined, but because it’s the first program that I’ve found that I truly believe in as I mentioned before. I’m not a salesman, so I wouldn’t try to sell you on joining something I didn’t believe in. I want to share this with you because I believe in it and I know that it can change your life as it’s changing mine. What is the Home Business Academy? A big reason why I love the Home Business Academy so much is that it’s NOT a network marketing company. It’s strictly an affiliate program that pays 80% commissions per sale and you make that 80% from that one person you referred for every month they are in the program! Sounds amazing, right? As I mentioned before, the two problems with most affiliate programs are A) they have low commissions, and B) they are usually a one-time commission. There are also two other problems with most affiliate programs… you are usually limited to a certain niche and you usually have to generate a ton of volume to your website in order to make a decent income. The Home Business Academy is the answer to all of those things! 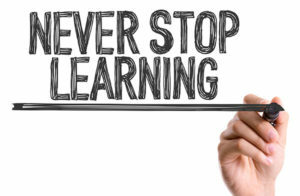 The Home Business Academy is a membership site that is chock full of training courses/videos in the two areas that everyone needs in order to succeed online: Mindset and Technical Skills. Succeeding online, whether you’re starting an online business, have a brick-and-mortar business, or just working on your side-hustle, takes a lot of work. You have to develop an array of technical skills to navigate and master creating and managing your website, social media, and marketing efforts. All of that can be stressful and overwhelming. 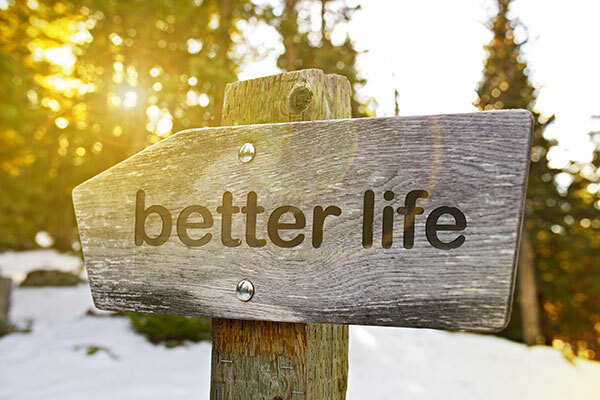 And the best way to combat that is to develop a healthy, positive mindset. It’s crucial to success in business and in life! The HBA covers both aspects in great detail. So at it’s core, the Home Business Academy is a membership site that helps you succeed in life and in business. But it’s not just the training and the videos either. The community is truly unique. There are regular mastermind calls, a positive and helpful facebook group and much more. They’ve really created something worthwhile and beneficial to everyone. Like I said before, affiliate programs can be tough sometimes because of the low commission rates. However, the Home Business Academy pays you 80% commission for each person you refer. And since the membership is something you pay for each month, not only does it pay 80% commission for each person you refer, it pays you that 80% commission each and every month they are a member! Which I will explain why that is so important in the next section. Why is recurring income so important? It’s the dream. It’s the dream of every entrepreneur who is hustling online to make things work. To quit their job. To provide extra income to support their family and/or the lifestyle the long to live. It’s the dream. And it’s promised everywhere online! But it’s hard work. It’s not easy. And it typically takes a long time and a lot of dedication to achieve. I’m not here to promise that the Home Business Academy is going to make that happen for you. With everything, it takes work. And it takes time. But I can tell you, that from everything I know and have seen over twenty years of affiliate marketing and being a student of network marketing, generating recurring income is the key to financial freedom. And the main reason I am featuring this Home Business Academy review is simply because this is the easiest path I have ever come across. It takes as few as two referrals to start generating a profit and a recurring income… only two. It is hard work and often very expensive to generate traffic. If you own a website, then you know full well how hard it is. But typically, that’s what you need in order to succeed and start generating profits from affiliate programs. It’s hard work! But you don’t need that in order to start finding success with the Home Business Academy affiliate program. As I mentioned before, it only takes as few as two people to start making a profit. How does the Home Business Academy Work? The Home Business Academy membership costs $125 / month. As a member, you have free access to the affiliate program. If you refer ONE person to the Home Business Academy, you receive an 80% commission = $100 EVERY MONTH they remain a member. If you refer TWO people, that means you are making $200 every month. That completely covers the cost of your membership, plus $75 profit every month. How many people would it take to pay for your car each month? Your rent? Your mortgage? Your bills? How many people would it take to replace your job? The answer to each of those questions is not that many! What makes the Home Business Academy Different? This is not a low commission affiliate program that requires you to generate tons of referrals and sales each month. The idea is so simple, I am honestly surprised I have never seen anything like it over the years. It’s everything anyone could want in an affiliate program. And all you need to know and learn about succeeding online included in your membership. It’s truly unique and such an incredible opportunity unlike anything out there. And it has unlimited potential. 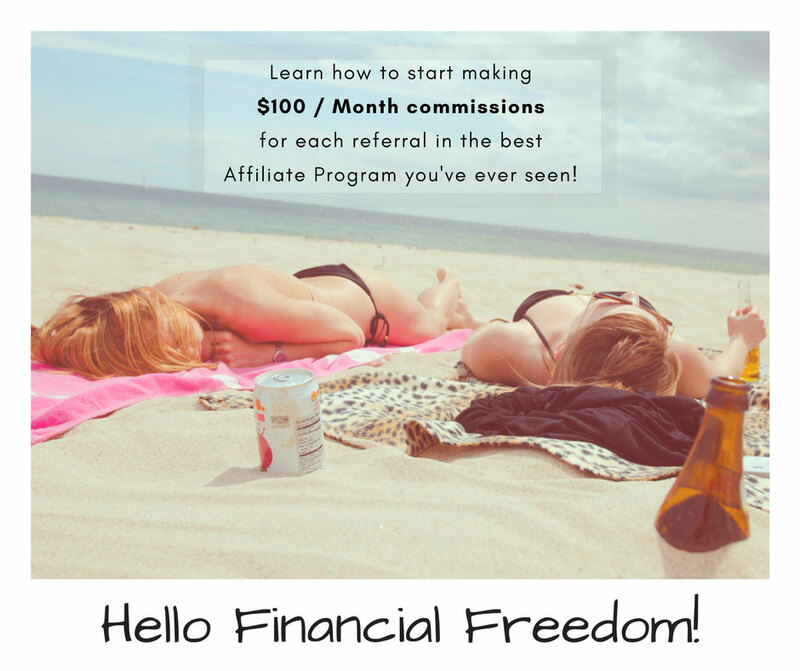 Can you think of how many referrals you would have to generate each month in a typical affiliate program or typical network marketing program in order to have replace your income or have financial freedom? Hundreds? Thousands? It would obviously vary depending on the program, but it would be a lot! It would take 20… TWENTY… referrals to the Home Business Academy to be making $2,000 / month… TWENTY! And it’s a membership that is useful to anyone who has a business, an online business, a blog, a side-hustle, a network marketer, an affiliate marketer, an email marketer… the potential is unending. If you don’t know already, I am a web designer and internet marketer. I’ve been doing this (mostly) full-time since 2014 and (mostly) part-time since 1998 or something ridiculous. Haha. I’ve learnt a lot over the years, especially over the last few years, and I am starting to focus my business more on coaching than web design services. Finding success online is difficult. There are a million different things to learn on a million different topics. Let’s work together to find the best results for you and your business to save you time & money. For a Limited Time, I am offering my complete step-by-step coaching for FREE when you join the Home Business Academy – a new, comprehensive online training membership program that covers mindset training, leadership training, and everything you need to learn in order to succeed online! Click here for more information and Frequently Asked Questions or get started below. If you have any questions about the Home Business Academy, how it can work for you and/or your business, or if you are curious for more details, feel free to reach out in the comments below or shoot me a quick email. I believe in the training that you receive with the Home Business Academy membership, and I believe in how the HBA affiliate program can change our lives.